This gallery has a variety of photos of birds, wildflowers, landscapes and other discoveries from a trip to the country with a couple of longtime friends. 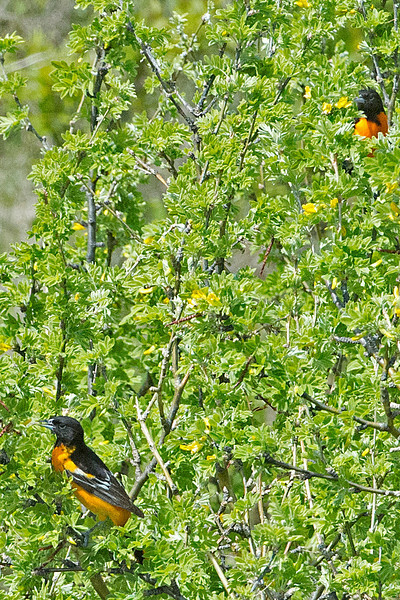 At one point, two BALTIMORE ORIOLES flew into a nearby bush. Later we observed a FERRUGINOUS HAWK fleeing away from us. Although it was quite far away, I had to get a picture. The abundance of WILDFLOWERS made a rather bland landscape very attractive. A ROOSTER crowing at one of the farms made the trip have a very rural feel.